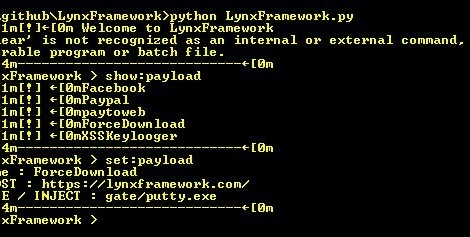 Browse: Home / LynxFramework is an extension browser exploitation framework. LynxFramework is an operating tool for web browser offering a specialized service in the effect browser extension development , namely Google Chrome and Firefox soon. The operation is based on the script for the injection in the order to retrieve data targeted. git clone https://github.com/graniet/LynxFramework && cd LynxFramework python LynxFramework.py set:payload (what do you want) then open your chrome browser..
then open your chrome browser..
← Crowbar v3.4 is a brute force tool which is support openvpn, rdp, sshkey, vnckey.